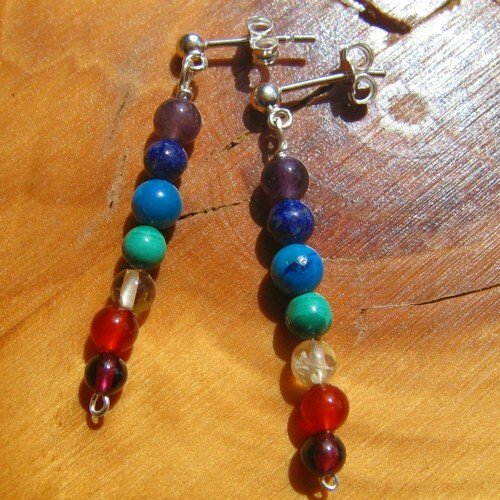 Chakra earrings crystal silver studs. First of all I thread the seven natural chakra crystals and semi-precious stones on to silver wire. 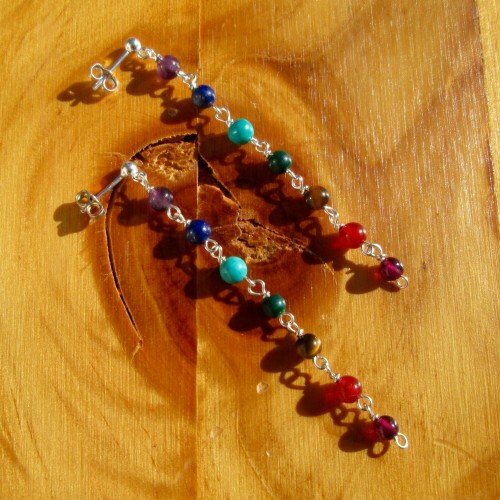 As a result you will have amethyst, lapis lazuli, turquoise, malachite, citrine, carnelian and garnet. Corresponding with the base, sacral, solar plexus, heart, throat, third eye and crown chakras. Because I carefully choose each crystal, these earrings are rich and bright in colour. While you can wear these alone, they are also easy to match up with other jewellery. Finally, I set the crystals onto neat sterling silver ear studs. 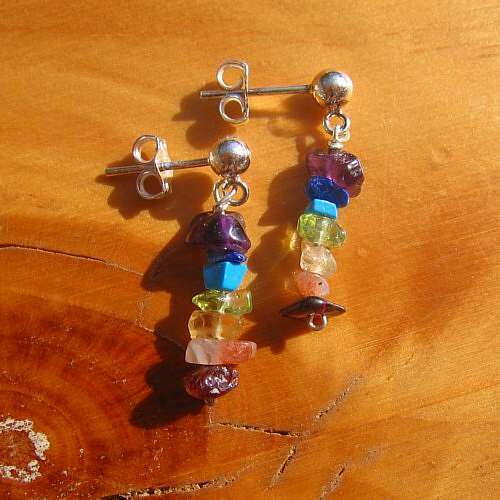 Your “chakra earrings crystal silver studs” measure approx. 4cm/1.5 inches in length.